This collection is both welcome and original in that it presents a variety of genres from a range of contemporary authors, encompassing traditional animal and magical stories and accounts of adventures in everyday settings. The collection opens with a lyrical version of the well-known competition between sun and wind by Kariuki Gakuo. 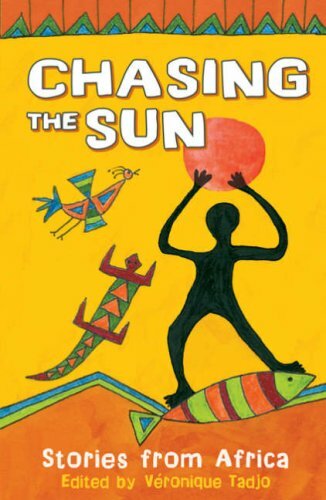 Chinua Achebe retells the story of the drum that bestows banquets in a witty and politically astute version. Naguib Mahfouz provides an eerily poignant allegory of the parallels between leaving home for school and leaving home for ever. In one of the most realistic of the stories, Joseph Lekuton recalls a lion hunt from his own childhood as a Masai herd-boy, featuring a challenge that he may or may not have eluded. Véronique Tadjo’s own story, about the power of art to redeem the jejunity of workaday life, has the same strikingly effective lack of artifice as the drawings she has contributed to the book. In most of the stories the proximity of the concrete and the spirit world is stressed, but the main strength of this compendium is in its variety.